It looks like we have found our everyday first baseman. Cashman said that Swisher is more of a corner outfielder or first baseman and that he will be an everyday player. He`d be more of an insurance policy for centerfield. He also implied that they will be going with a defense first type guy in centerfield which probably means Brett Gardner. This means they can focus all of their considerable amounts of money on starting pitching. If Texiera or Dunn fall right into their lap they`d be fools to not sign them but I see what they`re thinking. They want to lower payroll but at the same time sign two starting pitchers. Cashman did not totally rule out Swisher playing center and I still like the idea but I have to admit it would give them a very weak defense to sign Dunn and put Swisher in center. 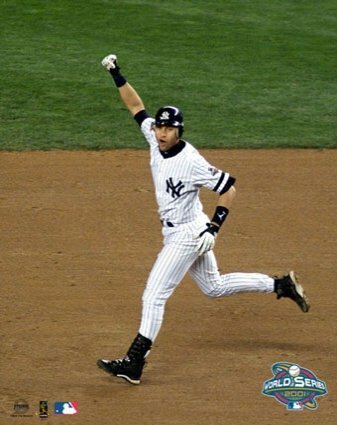 I think Swisher is an upgrade over Giambi any day. As well as being 15 million dollars cheaper. I think it is too early to say this definitively. Right now, he's the first basemen, but I think Cash is only saying this to take leverage away from Mark Teixeira. If the Yankees are comfortably with the backup plan, Tex may feel he can't get as much money from the Yanks. That`s an angle I didn't really consider. I don't think so though. if they miss out on Sabathia then they may make a run for Texiera but that`s the only way I can think of them still getting Tex. Its clear they`re prioritizing pitching this year. Swisher's flexibility also means that he can move for Jeter, Posada, or anyone else who needs to move to first base. They gave up basically nothing in this trade, I think we may see another one before the offseason is done.